In red with Linen interior. 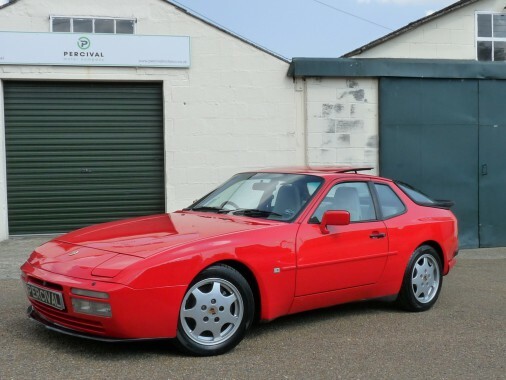 A very smart 250 BHP 944 Turbo with 83,000 miles recorded and service history to confirm. This 944 has had a Koni shock absorber upgrade along with an upgraded turbocharger and an AVC-R variable boost control kit making it quicker than standard and handle beautifully. It comes with Porsche and Specialist history, a full book pack, two keys, and photographic evidence of a professional Waxoyl treatment to the underside.